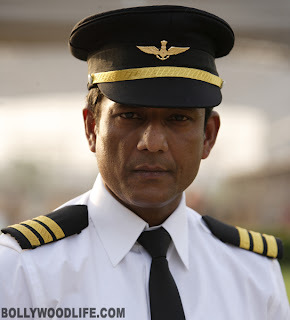 Guwahati: Assam boy Adil Hussain who plays ‘Colonel’ in Saif Ali Khan’s ‘Agent Vinod’ has high hopes of his latest film which is scheduled to release on March 23. Talking to Seven Sisters Post, the actor who recently concluded shooting of Ang Lee’s ‘Life of Pi’ advocated for proper market for the survival of Assamese films. Adil Hussain would be seen along with Saif Ali Khan, Kareena Kapoor, Gulshan Grover, Prem Chopra and others in ‘Agent Vinod’ which is being directed by Sriram Raghavan. “I’m a bad guy in Vinod Agent. I’m international mercenary who can be hired. I am working for someone who is an arms’ dealer in global market as I’m asked to fill up the requirements. That much I can tell u so far,” Hussain told Seven Sisters Post. Though the film which is produced by Saif Ali Khan and Dinesh Vijan was to be released on January 25 but rescheduled to be released on March 23. “Expectations are very high. Everybody has worked very hard and let’s hope people would like it. But I do not know till I saw the movie myself. I cannot say...,” Hussain said who was born and brought up in Goalpara district before he moved to National School of Drama (NSD). Adil who has earned a name in theatre across the globe even before in stepped into films also expressed satisfaction working with Saif Ali Khan and Kareena Kapoor in this film. “They are extreme co –workers and especially Saif coming from such a background – Pataudi and Sharmila Tagore, they know it very well what is mehmaan and hospitality. They took extreme care of me. And so is Kareena,” said the actor who is currently busy in shooting ‘Lutera’ of Vikramaditya Motwani which is scheduled to release in October this year. Besides, his several films including ‘English Vinglish’, ‘Bombay’s Most Wanted’ and ‘Lessons in Forgetting’ are to be released within this year. 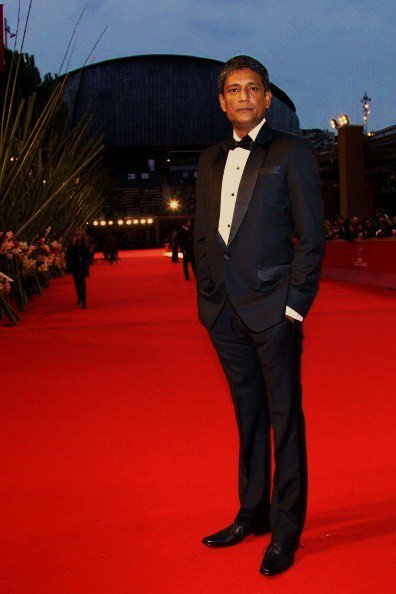 Ang Li’s ‘Life of Pi’ in which Adil would be seen in a major role is also scheduled to release in December 21 this year. He, however, advocated for proper markets for the development of Assamese cinema. “The scenario of regional cinema is Kerala is quite well. I was surprised to see the facility of film viewing there. It was never like in Assam,” said Adil who has won the best actor award for his performance in Italo Spinelli’s ‘Gangor’ at the New Jersey independent South Asian Film Festival. “You have to have a market first of all to sell your product or to reach to the targets for whom you have made the thing,” he added. He said that the government of the private sector should take initiatives in setting up halls across the state so that people can come out and watch cinema. “People are willing to watch films. The VCDs are doing well. If there is good market the filmmakers in Assam would be encouraged to take new projects,” he said. He also expressed his grief at the recent development in which an Assamese film ‘Ekhon Nedekha Nodir Xhipare’ was rejected for Best Assamese film by the jury members of the National Award for having too much Hindi and English dialogues in the film. “It’s a sad incident. Such issues should be solved to prevent similar incidents,” he said. After his days at NSD he did a brilliant job as Othello in ‘Othello: A play in Black and White’ which won laurels across the globe. Besides being a visiting faculty at the NSD in New Delhi, he also teaches acting at Drama School in Amsterdam, Royal Conservatory of Performing Arts in The Hague, and Film and Television Institute of India in Pune. Hi Adil Da. Nice to see you here. we are very proud to you. My best wishes always with you.